to personally view the many products we carry. Our Ottawa-Gatineau PATHFINDER maps can be found at World of Maps, Preston Hardware and many locations in the Ottawa area. February 2014 Pathfinder Maps Launches our new Web site and online store. March, 2009 Pathfinder Maps 2009 Ottawa Gatineau Book Map is released, finally sorry about the delay!! January, 2008 Pathfinder Maps 2008 edition Ottawa-Gatineau Plus™ book map and wall map released. 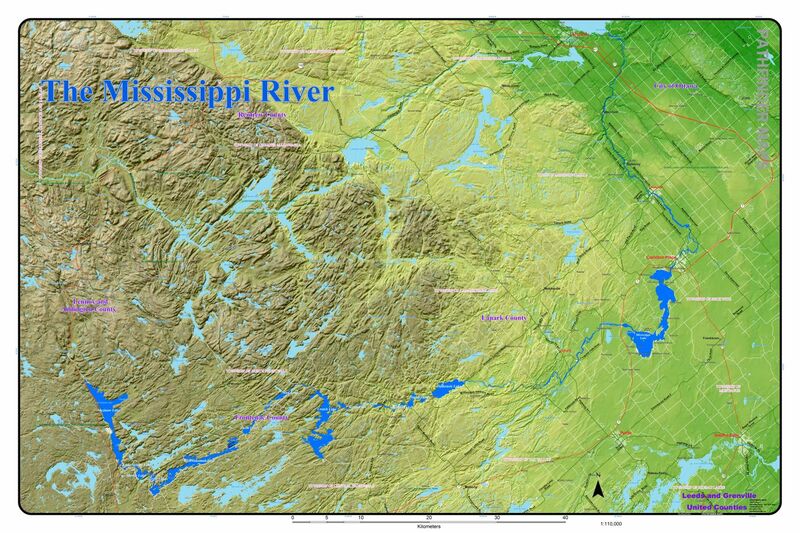 April 20, 2007 Pathfinder Maps ATV map for Northern Frontenac County is released. March 27, 2007 Canada Post has put a $1.00 surcharge on mailing tubes, so our rates have to be adjusted accordingly, sorry. Feb. 26, 2007 Pathfinder Maps 2007 edition Ottawa-Gatineau Plus™ book map released. January 12, 2006 Pathfinder Maps Ottawa-Gatineau Plus™ 2006 edition book map released. December 01, 2005 MapEdge™ has been updated as of Nov. 15, 2005. November 20, 2005 Pathfinder Maps and PATHFINDER MapEdge™profiled on CJOH-TV Tech Now. October 01, 2005 Pathfinder Maps retail store in Carleton Place, ON undergoes a major expansion making room for a larger display of Optics, Outdoor Wear and Inflatable Canoes and Kayaks. March 11, 2005 Pathfinder Maps Ottawa-Gatineau Plus™ 2005 edition book map released. March 10, 2005 TableEdge™ released. This program provides a calculator style AND spreadsheet style user interface for converting between MTM, UTM and Latitude/Longitude coordinate systems. It also provides large table re-organization capabilities such as multi-column sort and export of selected columns. Works with comma delimited files. March 01, 2005 MapEdge™ has been updated as of Feb. 15, 2005. Nov. 29, 2004 Pathfinder MapEdge™ MTM-UTM-Lat/Long Conversion calculator program with audit trail released. For all of Canada, a standalone, windows based MTM - UTM - Latitude/Longitude converter with an audit trail. Works for all 32 MTM zones in Canada. Easily convert from one of MTM, UTM or Latitude/Longitude to the other two with an on screen "calculator like" user interface. The on-screen audit trail keeps track of old MTM UTM conversions and allows copy and paste to other applications. Nov 17, 2004 Pathfinder MapEdge™ updated to contain 250,000 individual, fully searchable, address points for all of Ottawa. These address points are up to date as of Oct. 15 2004. No longer do you have to rely on software estimating an address location. MapEdge(TM) pinpoints addresses in Ottawa and Gatineau using at total of 325,000 individual address points linked accurately to the 1 metre resolution air photos and street vector data. Oct 1, 2004 Pathfinder MapEdge™ for OTTAWA/GATINEAU released. Dispatchers get the benefit of up to date data AND the ability to see what drivers see - through the air photos. Surveyors can find MTM, UTM and Latitude/Longitude points accurately on the air photos. Urban Planners and Consulting Engineers can measure lengths and areas accurately on the Air Photos and enhance presentations by including imagery at any scale. Security personnel can plan and respond much more effectively. MapEdge™ with air photos takes mapping to a stunningly useful and exciting new level.